UPDATE 1: Click here for a preview of several of the Crater maps. I have an exciting announcement to make. Ed Bearss is a man who needs no introduction to Civil War buffs. The former marine turned career NPS man and tour guide extraordinaire has made a massive mark teaching others about the Civil War. What some of you may not know is that Mr. Bearss spent a good portion of the early part of his career creating troop movement maps for various Civil War battlefields. 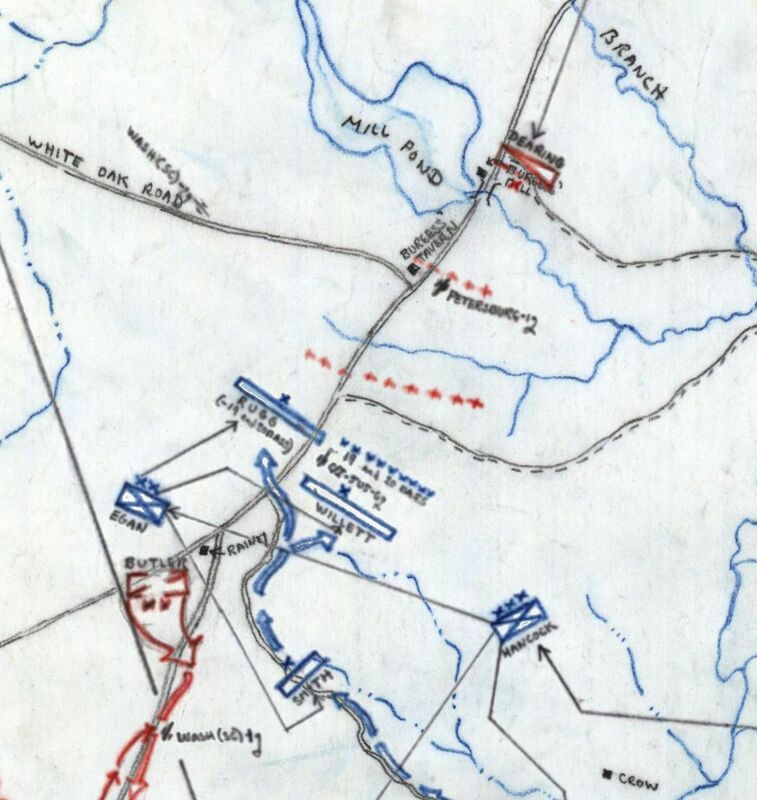 Here’s an online example of those maps courtesy of Stones River National Battlefield. 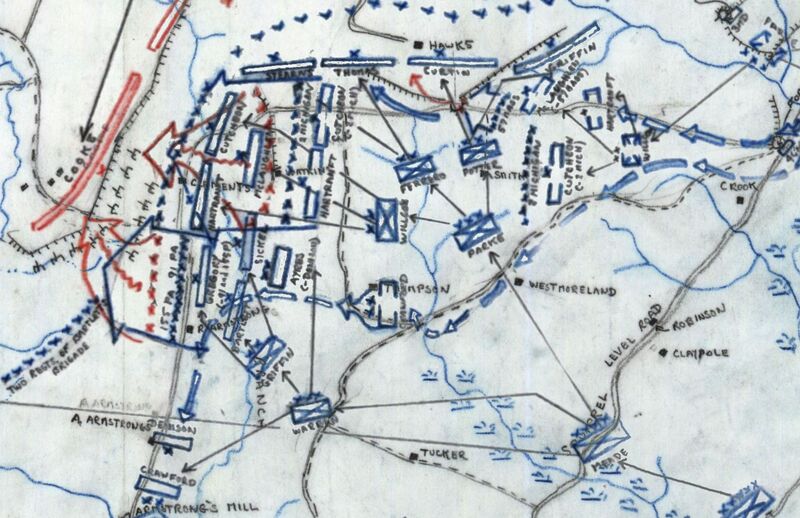 I’ve known for over a decade that Mr. Bearss created over 60 maps on the Siege of Petersburg. However, I understood that the maps were oversized and not really available unless I visited in person. I patiently waited for an opportunity to obtain these, and late last week it finally happened. Thanks to friend of SOPO Bryce Suderow, and Cultural Resource Manager Julia Steele at Petersburg National Battlefield, I finally have my hands on these maps. That’s the good news. However, there is still work to do. The maps were digitized by simply copying the base maps, showing roads and terrain, and then copying the troop movement overlays separately. This means I need to work on cleaning up the troop movement overlays, and then overlay them in layers on the base maps, lining them up perfectly so that they look the way they were intended to look. For a non-artist like me, that will take some time. The maps in this collection depict fighting south of the Appomattox River, so you won’t see any of the battles fought by the Army of the James north of their namesake river in this collection. I’m not positive if Mr. Bearss did troop movement maps for Richmond National Battlefield which looked at those fights. If you know for sure one way or another, please Contact me.